CTA is awarded PA Theater Guide Best of 2015 Reader’s Choice Award, Best Theater Education Program for Young Artists! CTA, with a faculty that proudly has over 26 University trained arts educators and artists, has been proudly changing lives through arts education for over 35 years, including those with special needs. CTA offers a fun, creative, challenging and exciting curriculum that explores expectation, investment, personal accountability and process. 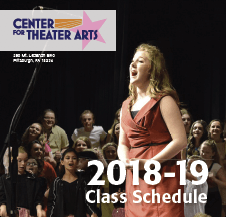 The winner of the PA Theater Guide’s Best of 2015 Reader’s Choice Award for Best Theater Education Program for Young Artists goes to… The Center for Theater Arts! Congratulations to The Center for Theater Arts and all of this year’s nominees! Thank you always for sharing your passions, love, and heart with our students, their families, our community and of course each other!!!! On the heals of our 35th Anniversary this was indeed inspirational, and we hope it finds you proud of the “ROLE” you play today and always in the lives of CTA!!! Here is the link to view entire article… cta won! Attention VOICE students… we want to hear your VOICE!!! !